Inter Milan are prepared to offload Ivan Perisic next summer. The Serie A giants plan on making huge changes to their current squad, so as to improve its overall quality and recruit talents players that can help them compete with the reigning Italian champions, Juventus. In order to garner funds for these signings, Inter are considering selling a few players, with Ivan Perisic being one of them. While manager Luciano Spalletti remains a huge fan of the wide-man, the club hierarchy is adamant on parting ways with the player at the end of the season, considering the fact that he will turn 30 come February. 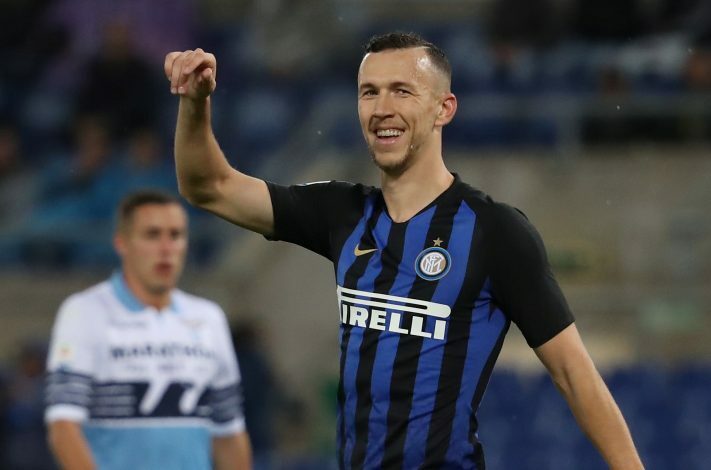 Further, despite being one of Inter’s best players for the past two seasons, Perisic seems to be heading south in terms of goalscoring form, as he has managed to score just twice so far this campaign, with no goal in his previous nine Serie A appearances. According to Calciomercato, I Nerazzurri shall willing part ways with the Croatian international if they receive a fee in the region of £31 million. This would come as terrific news for Manchester United boss Jose Mourinho, who has been a long-term admirer of the talented forward, and could jump at the chance to sign his target for a discounted price. However, the report adds that Inter are likely to ask for Anthony Martial in exchange while negotiating with the Old Trafford outfit, just like they did this past summer, and that could prove to be a stumbling block. With the inclusion of Martial, this potential swap deal shall once again meet the same fate as it did in the previous window, as the Mancunians have no intention of letting their in-form Frenchman depart from the Theatre of Dreams.